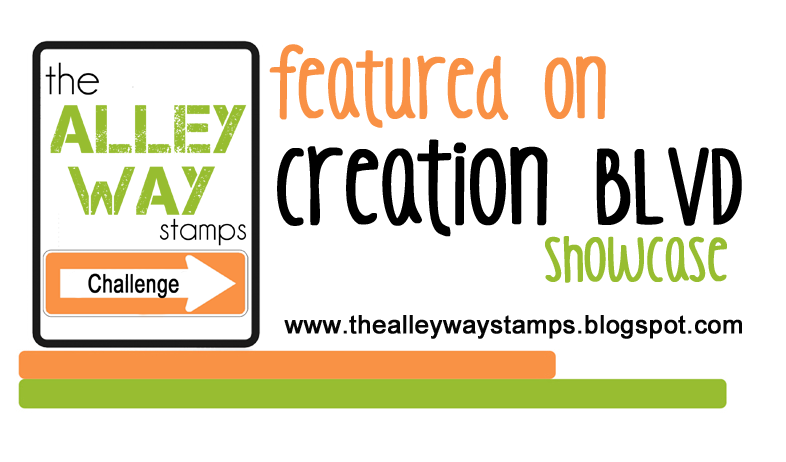 I used a free image from The Alley Way Stamps. It is digital image called Steamin’ Hot. It has been a long time since my last post. Right after Thanksgiving weekend my husband Jeff and I had to prepare to go the Mohawk Flooring Convention in Orlando, FL. We spent 4 fun filled days seeing the latest introductions, attending sales workshops and of course eating all of the delicious goodies that the Gaylord Hotel provided for the convention. Now that things have settled back into a routine for me I have been in my craft room again making cards. I am used this great free image from the Alley Way Stamps called Steamin Hot and my own typed sentiment to make this Christmas card. 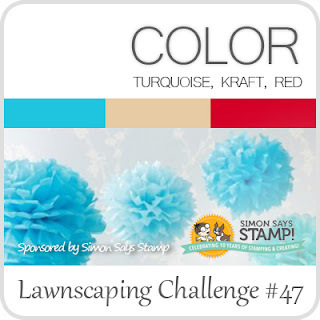 In order to play along with a Lawnscaping Challenge: Color Inspiration, I used turquoise and red for my card. I am also going to enter this card into Aud Sentiments Challenge: Anything Goes and a DT Call. Play along for a chance to win 3 of Birdie Brown’s digital images! Posted in Christmas Cards, Digital Stamps and tagged Alley Way Stamps, Cup of Cocoa, Cute Christmas card, Steamin Hot, The Alley Way Stamps. Bookmark the permalink. Thanks, Lisa. 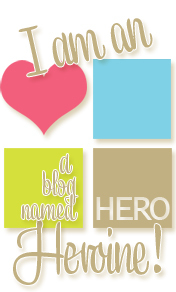 I found you through Torico’s Birdie Brown Blog and I can’t wait to play along in the future too! This is just so cute! I love the added sparkle to the steam and the texture in the back. Thanks for playing along with us a LawnScaping! Thanks, Chrissie. Lawn Fawn has the best challenges! That is a seriously perfect card! How cute is this. Loving that digi image! And great take on our challenge!!! The embossed background is a great touch! Thanks for the love, Laurel. lovely card, and great colors! Thanks for joining us at Aud Sentimetns! 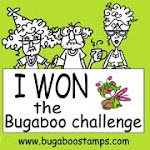 It is always fun to join in on a new challenge! Such a beautiful card! I love the embossed background, and all the sparkle on the steam! Awesome card! Lovely take on our color challenge. Thanks so much for joining us at Lawnscaping! Thank you. I wish it were cold enough here in FL for a warm cup of cocoa but it has been quite warm the past few days. loving that mug image, and the way you glittered up the steam! thanks for playing along with us at lawnscaping! The colors were so much fun to play with. It is nice to step outside the red and green box sometimes!